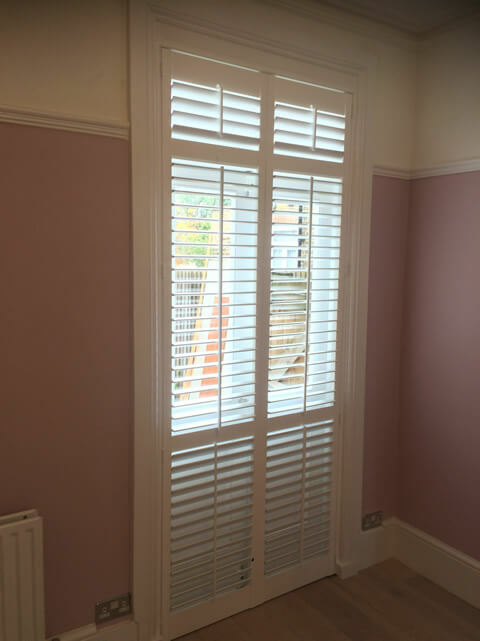 Jamie was recently with another local customer of ours to fit some brand new shutters for some back doors of a home in Bromley, Kent. The shutters were to be a great addition to the backdoor of the building leading out into the garden. They needed to be designed in a way that would not only look great from the inside of the property, but also from outside. 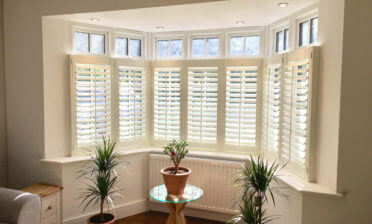 The shutters were also a great way of providing an extra level of security to the doors. 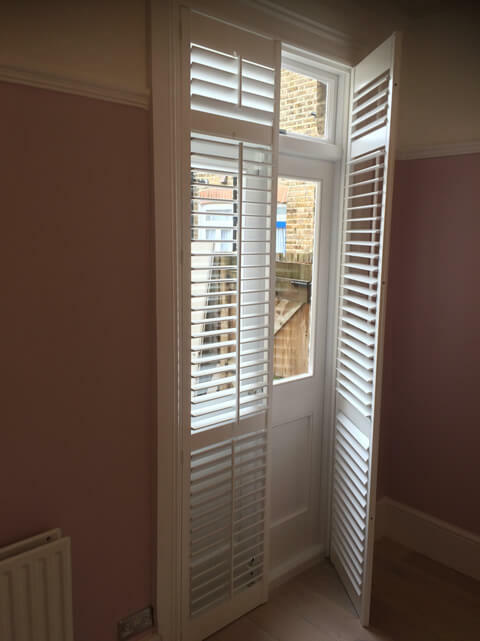 With the existing doors in mind, we designed the shutters with two mid rails which matched up with the lines of the doors and also act to provide support and stability to the high run of shutters. Another advantage of the mid rails is that the louvres can now be adjusted separately on 3 different parts of the shutters. This allows the client to leave some parts closed while opening or adjusting the others depending on the exact levels of light and privacy they require. 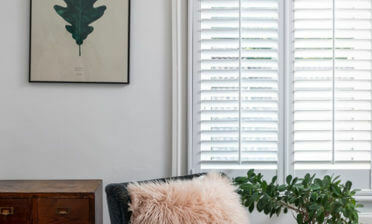 In the summer with the back doors open the shutters can be kept closed allowing for a level of privacy between the home and garden, with the ability to fully adjust the amounts of light and airflow into the room. 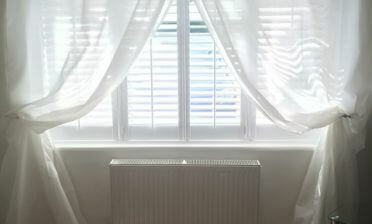 In the colder months the shutters act as an extra level of insulation between the room and the door. We of course designed the shutters so that they can easily be opened on their hinges to allow for easy access to the door whenever required. The shutters were created from our Bali Range and were designed in a full height style with 2 mid rails as previously mentioned. The frame they are mounted onto is a 4 sided insert L with the whole frame and shutters being finished in pure white with matching hinges. The louvres are 64mm with central tilt rods which create a traditional look and make adjusting each run of louvres an easy task.